Nintendo's Wii U press conferences have come and gone like Bowser and the Princess at the beginning of a Mario game. Nintendo had press events in Japan, North America, and Europe on Thursday to detail the Wii U's release dates, prices, and games for those regions. I like to let at least 24 hours pass after events before writing out my "final" thoughts on them, and with this I have allowed more than 72 hours for more details to surface. Being that I grind and brew my coffee in the U.S., this post will mainly be about the U.S. Wii U details. What does a coffee addict think of Nintendo's Wii U system details revealed on Thursday (and since)? Brew yourself a few cups of coffee, take a look at the system details, and then some caffeinated thoughts! 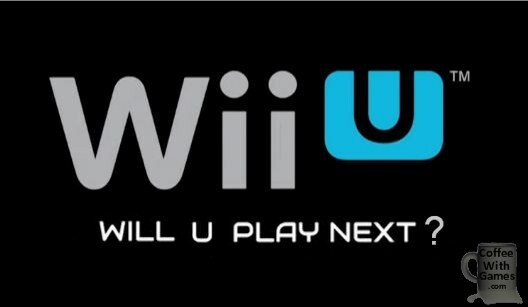 Nintendo announced the Wii U will release on November 18, 2012 with two console configurations to choose from. The White Wii U Basic Set with a MSRP of $299.99, and the Black Wii U Deluxe Set with a MSRP of $349.99. A White Wii U console. A White Wii U GamePad. 8GB of internal storage memory. An AC adapter for the Wii U and GamePad. A high speed HDMI cable. A Wii U sensor bar. Again, the White Wii U Basic Set has a MSRP of $299.99, and it should be clearly noted to all Wii U buyers, the Wii U Basic Set does not have a copy of Nintendo Land included. A Black Wii U console. A Black Wii U GamePad. 32GB of internal storage memory. A Wii U console stand. A physical copy of Nintendo Land. Deluxe Digital Promotion (only with the Deluxe Set). As mentioned above, the Black Wii U Deluxe Set has a MSRP of $349.99. If it's not clear from the image and text (drink some coffee first), the extra $50 will get you a physical copy of Nintendo Land, 24GB of extra internal storage, the GamePad Charging Cradle and GamePad Stand, a Wii U console stand, and the Deluxe Digital Promotion which is a rewards type program for Wii U owners that might be purchasing digital content/games on the Wii U's eShop. As the Nintendo event started up Thursday morning, my coffee was just starting to brew. 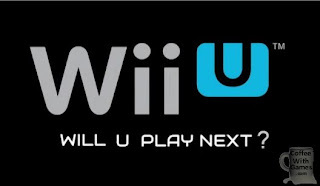 When Reggie said, "Wii U arrives in U.S. stores in another 66 days. ", I did the math super quick and knew November 18th before he even said it. My first thought was something like, "Call me Pachter! My prediction was wrong!" While I originally thought releasing the Wii U on November 18th would be late and miss one key game launch this holiday season, I don't see it as a horrible. Why? Well, there was a report of production issues with the Wii U console (GamePad related) that makes me think Nintendo isn't worried about getting the Wii U out sooner, because more than likely the supply is going to very limited and will probably remain sold out during the holidays. As for the prices of both Wii U bundles, I think they are $50 too much if they remain at those prices very long. I agree with Michael Pachter though, that Nintendo shouldn't have a problem at these prices during the holiday season, and it allows them to have some price drop room if they need it. That being said though, if you are planning on buying a Wii U during the launch this year I think the Black Wii U Deluxe Set is the best value, because of what is included with it. On the games, I thought the demo of Metroid Blast from Nintendo Land was great, and showed good use of the Wii U GamePad's asymmetric gameplay capabilities. New Super Mario Bros. U, as of now, is already a purchase for me, so it didn't really matter what they showed. Seeing Call of Duty: Black Ops 2 officially announced for the Wii U was great. I thought its use of the GamePad for a "splitscreen" multiplayer option was brilliant, and I'm very glad to see Treyarch trying new things with it. Also, I'm glad to know that Michael Pachter was wrong in his statement on Activision demanding the Pro Controller or no Wii U Call of Duty, and I'm glad that Treyarch took the stage and used the GamePad and didn't simply guitar smash it to the ground, then stand on top of it with the Pro Controller smiling. The Wonderful 101 looks really interesting to me, and I like how bright and crisp the visuals appear to be. I think the graphical style will remain fresh for years to come, as it appears to have a stylized "cartoon" look to me. When Bayonetta 2 was announced as a Wii U "exclusive" published by Nintendo, it didn't really excite me because I didn't play the first game; but it did give me some hope that Nintendo is willing to work/pay third party developers for exclusive Wii U games, and hopefully content. The one "new" feature Nintendo talked about that I thought was interesting and certainly bold, but not worth the amount of time dedicated to it, was Nintendo TVii. I would rather there have been a Nintendo Direct conference in October explaining Nintendo TVii in fuller detail, than them spending nearly 20 minutes of the Wii U press conference on it. Especially considering things they didn't address, that I feel are more important about knowing and seeing how Nintendo has, or hasn't, improved in certain areas. Let me get my bitter thoughts out of the way now. Perhaps using bullet points will be the best way to do this, so I don't go into a 500 page blog post. The words, "There will be no friend codes on the Wii U" were not spoken. No demonstration of the GamePad's NFC being used in Wii U launch games (or at all). No real mention of online multiplayer gaming at all. No mention of Nintendo "Accomplishments" being standard. No details on the Wii U's use of the "Nintendo Network". No demonstration of the eShop and interface. No live demonstration of the video chat, or voice chat, Wii U feature. No details/announcements of Virtual Console/WiiWare game transfers during the conference. Nearly 20 minutes on Nintendo TVii. As for online play in Nintendo Land, I honestly don't see why that is not in the game, or maybe it is and Nintendo will reveal it in a Nintendo Direct video in October? Call me a skeptic though, because Nintendo has a pretty terrible history of not having online play in their Wii mini-game collections (Wii Sports, Wii Sports Resort, Wii Play). I would love to be proven wrong though. So, did the Wii U conference convince me to buy the Wii U on November 18th when it releases? No. But, it did show me Nintendo has taken at least one small step in the right direction in working with third parties to get exclusives (Bayonetta 2), and seeing Black Ops 2 confirmed for the system was great as well. While I'm not 100% settled on buying a Wii U day one, I was the first customer at my GameStop to reserve the Wii U system, and I chose to reserve the Black Wii U Deluxe Set. What's that mean? Well, I have 2 months to figure out if I will keep my reservation on the system, or cancel it. 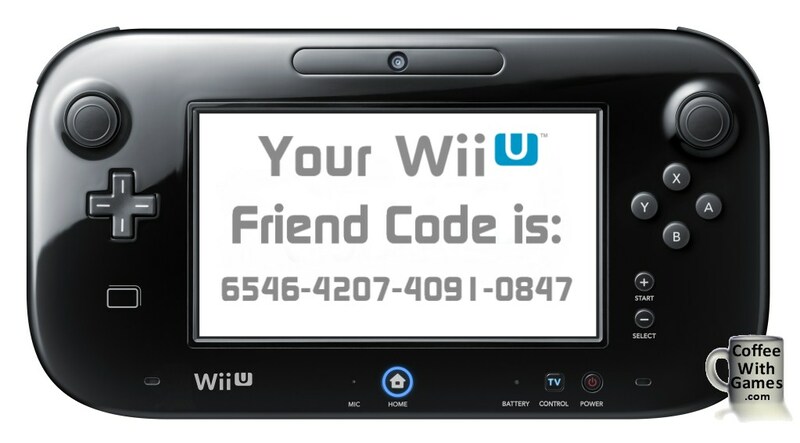 I'm really hoping Nintendo addresses the online aspects and Nintendo Network features of the Wii U, and I really hope to hear the words "There are no friend codes on the Wii U system", before it releases in November. Are there any of my "Caffeinated Thoughts" you agree with, or disagree with? Do you agree that Nintendo Land should have some form of online functionality? Was there one Wii U game that stood out to you above the others, for any reason, like LEGO City: Undercover did to me, and that you would give a "Best of Show" award? I can deal with friends codes as long as it is only 1 code. The real improvement they need to make beyond having only 1 code is to tie that into an account, and not the hardware itself. I think that will happen, who knows. Also, I think you're being too negative about the NintendoTVii business, it's a free service, it does look kind of neat. Perhaps you felt they diverted resources for on-line to do this as is often the case when a presentation spends more time on one thing and skips antoher. But I don't think that is the case. Had there been no NintendoTVii the prsentation would have just been 20 mins shorter. The ball is in their court. Bill Trinen did mention they have another presentation to make before launch to detail how Miiverse works with games like NSMBU. If they fail to still show online details then, then I think it would be a big mistake then. "The real improvement they need to make beyond having only 1 code is to tie that into an account, and not the hardware itself. I think that will happen, who knows." This is very possible, and it will probably only matter to the Wii owners that have downloaded a lot of stuff, but they can make it very simple to transfer Virtual Console/WiiWare titles to the Wii U I would believe. How? Well, if a Wii is stolen (from a friend), and you have a police report verifying the stolen items, Nintendo CAN look at your Club Nintendo account (assuming you have one), and sync your new Wii console from your Club Nintendo account, by simply providing them your new Wii console's friend code. Perhaps in the Nintendo Direct, they'll encourage current Wii owners to setup their Club Nintendo accounts for a smoother transition to the Wii U? "Also, I think you're being too negative about the NintendoTVii business, it's a free service, it does look kind of neat. Perhaps you felt they diverted resources for on-line to do this as is often the case when a presentation spends more time on one thing and skips another." I wasn't negative on the Nintendo TVii, and didn't mind them bringing it up, just not for nearly 20 minutes while leaving the other issues unanswered. I think Nintendo TVii could be very interesting, and I think that Nintendo knows how popular their Netflix Channel has been. "But I don't think that is the case. Had there been no NintendoTVii the prsentation would have just been 20 mins shorter." I don't think so, I'm guessing they could have easily filled that time with a few game demos from third parties eager for some attention. A live voice chat via Wii U GamePad to the Europe and/or Japanese conferences would have been interesting, even if only for a minute...to at least show how simple it will work. I think the Miiverse conference may explain more fully the online stuff, but again, it's one a mystery as to why not just say, "No online talk today, friend codes, etc., that will be discussed in more detail before the Wii U launch." I guess we'll find out, maybe in another month? Thanks for the comment and feedback! BTW, did you have a game that stood out to you more than others? The price, while as a consumer I am a bit disappointed, is understandable since the company is shooting for Day 1 profitability. Reading the comments from many forum-going gamers, I get the sense that many do not understand that a company's ultimate aim is indeed to make money...there is often an implicit argument in their comments that platform providers are obligated to take losses on their hardware. I really look forward to some iSuppli/iFixit breakdowns to get an idea of Nintendo's launch margins. Really good point that they could very well be purposely inflating the launch window price with the knowledge of restricted supply and bitter memories of their prior console launch. The focus on TVii (for the N. American market it should be pointed out) I saw as their play for differentiation. They are hoping it is a killer app in the home entertainment space...not a TV watcher so I can't say it would be useful to me, but it seems many Americans are avid TV fans. Big question is how they mass market this feature, quite a challenge to control the message they want to convey about Wii U and what it is ultimately for! On the lack of network services presentation...yeahhh. Plenty can be inferred by collating different interviews and reading between the lines (we already know about Miiverse, we know the home screen is one big highly visual "twitter feed", we know games like Monster Hunter and CoD are running on Nintendo servers, we know that Friend Codes will be "greatly simplified", etc)...but why do we have to read between the lines!? Nintendo, just lay out the details on such a critical aspect of your product services! "The price, while as a consumer I am a bit disappointed, is understandable since the company is shooting for Day 1 profitability." Same. I just need to wear fireproof gloves and a suit to make sure I don't feel burned by the price drop that will happen...probably quickly. "The focus on TVii (for the N. American market it should be pointed out) I saw as their play for differentiation. They are hoping it is a killer app in the home entertainment space...not a TV watcher so I can't say it would be useful to me, but it seems many Americans are avid TV fans." Yeah, with it's apparent interaction with Twitter and Facebook with services like Netflix and Amazon video, I can see it being a big deal. "Fingers are crossed that this is "part of the plan", and another juicy network-focused Nintendo Direct is incoming..."
I think Mutant Mudds is heading to the platform (might be another purchase), but not sure if it has been clarified when yet. Thanks for the comment and feedback! Also, did any particular game stand out to you? "...a couple of killer first party games that had been kept under wraps..."
We haven't see anything from Next Level Games, Monster Games, or Retro Studios. All three of those have ties to Nintendo. Next Level is working on Luigi's Mansion 2 I believe, Monster Games made Pilotwings for the 3DS, and Retro...not even going to speculate that they are making Miyamoto's Halo for the Wii U, not going to to do it. I am interested in a quite a few Wii U titles though, so I'm not too concerned with software initially. The one thing they haven't confirmed yet though, the Nintendo Channel. Do they not realize I cannot do data stories without data!? As for the Nintendo TVii stuff, does the NFL Sunday Ticket involvement interest you any, or how they showed the stuff on the GamePad in the Alabama/LSU game? There's 2 ways you can view lack of surprising internal projects or a real HD Zelda tease beyond the initial demo from E3 2011 that will surely get the blood of a lot of people going. 2) Nintendo doesn't want another 3DS situation where they teased 2 years worth of exclusives/3rd party releases and leave early adopters hanging. I think the big 3DS blowout in 2010 skewed value perceptions. At the official reveal event, Reggie actually mentioned focus groups told them they would pay $300-350 for one, probably based on the known exclusives many of them didn't release until 2012 and late 2011. This lead to a lot of 'ambassardored' bitterness with some people who paid $250 only to see the price slashed. I'm an optimist when it comes to Nintendo, so I think those games exist. Well they ought to exist anyways. So if they can manage expectations a bit better by announcing games in waves rather than front loading games, I'm ok with it. P.S. still haven't preordered for mostly the same reasons you're underwhelmed. But I'm certainly getting a Wii U eventually. It just seems that after an underwhelming E3, and a so-so "official" conference, they would have had SOMETHING else that Nintendo fans could get excited about (first party related). Then again, looking at pre-orders they may be okay, but let's just hope for everybody's sake the majority of pre-orders are actually pre-orders, and not simply "sell it to the highest bidder" orders. The initial batch of titles looks pretty solid, even if some are just re-releases with a fresh coat of paint and in some cases, a new control scheme. I do think Zombie U looks cool though. I do agree that as far as mindshare goes the prices are $50 too high. IF the rumored price of $170 for the gamepad in Japan is correct then I can see why the higher price is being charged. I really enjoyed playing Project P-100. Did not get a chance to play lego City. The TVii looks great and would be ideal if they support Satellite too. Well I think a 3D Mario, and Zelda would fit the bill as guaranteed excitement factors. They know that too. The fact it wasn't shown is likely because they're not coming for a while. Nintendo does have a lot of 2nd tier/smaller scale franchises plus quirky games. I suspect we'll hear about those first. TGS this week might also be a good time to hear about Japanese developed HD games going multiplat to Wii U on top of a PS3 release. That initial Nov-March lineup actually looks quite well rounded, a surprise to me as I had started to fear the worst case. The most important 3rd party action title, most important shooter, a handful of popular titles that will hopefully be improved at least nominally and another smattering of actually nice exclusives that cover a range of genres, (Mario&Rayman - platform; Zombiu - Survival Horror; Nintendo Land - family fun; Lego City - open world, all ages; Wonderful 101 and Scribblenauts - quirky and unique). But it does indeed feel like it is missing one signature Nintendo launch release like the original F-Zero or even Excite Truck. 3DS was a bit like this too (depending on your excitement for Pilotwings) so perhaps it is Ninty's increasing focus on catering to 3rd party interests that they have stated on several occasions. Sorry, just seeing this one again! Where did you get to play the Wii U? One of the events, or at E3? I'm thinking that Nintendo TVii will support whatever service offers support for it, and it's probably more on the service providers to help get the service setup right...not sure how much of it is just Nintendo, versus Nintendo AND Netflix, Amazon, etc., working together on it. As for the NIntendo Channel, or lack there of, they're going to make you focus more on coffee than game data, eh? :p"
Not sure if that's a good thing or not.